Your connection to the local business community. 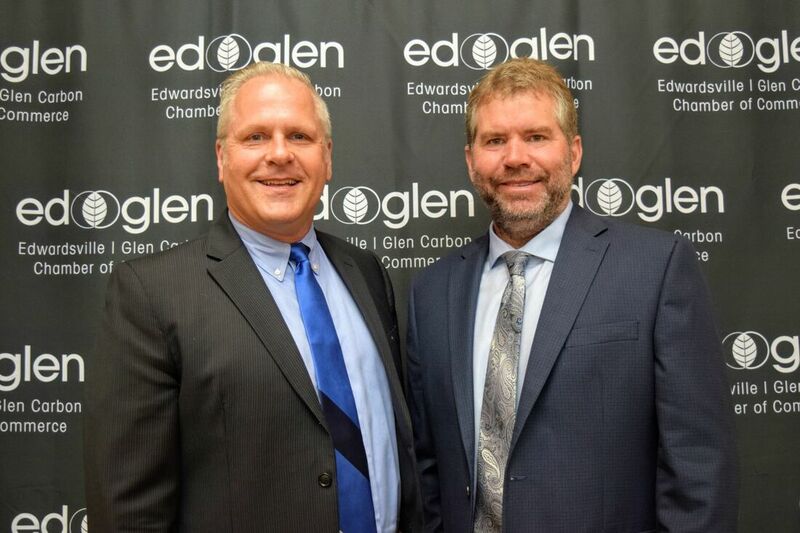 The Edwardsville/Glen Carbon Chamber of Commerce Mayors' Legislative Breakfast was hosted on April 25, 2019. Edwardsville Mayor Hal Patton and Glen Carbon Mayor Robert Jackstadt each present 'state of the city/village' addresses, including updates on current economic development projects within their respective municipalities, and a recap of projects, permits and sales tax data. CLICK HERE to download presentation slides. Thanks to IMPACT Strategies Inc., Contegra Construction Company LLC and Plocher Construction Company Inc. for sponsoring this program. CLICK HERE to download the scholarship application. Contact Kathy at 618-656-7600 or office@edglenchamber.com with any questions about the scholarship submission process. CLICK HERE to read more about the chamber's scholarship program - including eligibility guidelines and requirements. As a business association, the Ed/Glen Chamber's scholarship committee will make competitive awards to students majoring or minoring in business, or in a field of study clearly related to business. The Edwardsville/Glen Carbon Chamber of Commerce will be the preferred provider of watch-dog, education and advocacy services that form a mission-critical catalyst for business success. The Edwardsville/Glen Carbon Chamber of Commerce is a member-driven organization, dedicated to a strong, private-sector regional economy. Chambers of commerce honor and respect capitalism and well-informed private sector job creators as a central and foundational element of regional and national prosperity. Chambers of commerce actively facilitate collaboration and open discussion between business and public officials through education, business advocacy and leadership. Looking to fulfill a specific need? ​We can help! Call (618) 656.7600 for local business recommendations tailored to your unique needs!